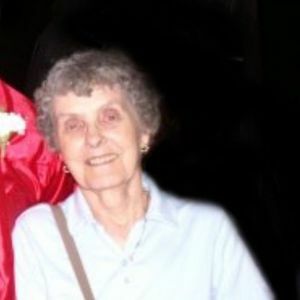 Nancy Joyce (Melendy) Sargent, 87, died March 9, 2019 at her residence in Deerfield, NH. She was born on November 26, 1931 in Lowell, Massachusetts, the daughter of Norman G. Melendy and Edith M. (Robinson) Melendy. She was the wife of Charles E. Sargent. They were married in 1954 on 19th of June in Tewksbury, MA. Nancy attended school in Lowell, MA. After graduating she went to nursing school at the Lowell General Hospital and became a registered nurse. She was employed at Lowell General until retirement. Nancy had many hobbies. She enjoyed sewing, skiing with her family, and trivia with her friends. She was an avid reader of what she thought were the best novels of all time. She shared those novels with her sister. She traveled all over the world with her husband and family. Nancy and her husband were residents of Pelham, NH for over 50 years where they raised their children and were truly a part of the community. Over the last few years Nancy resided at The Inn at Deerfield where she received the most wonderful care and compassion. Her caretakers can be considered her extended family. Nancy was predeceased by her sister, Norma M. Parker. She is survived by her son, Charles Sargent and his wife, Robin of Londonderry, NH; her son Michael Sargent of Reno, NV; her four grandchildren, Derek Sargent of Manchester, NH, Charles Sargent Jr. of Bow, NH, Rebecca Sargent of Lee, NH, and Allison Sargent of Reno, NV; three great grandchildren; her sister-in-law Charlotte Sargent of Tewksbury, MA, and several nieces and nephews from the Sargent and Parker families. Nancy will be deeply missed and loved forever. Services will be held privately at the convenience of family. In lieu of flowers, memorial donations can be made to" The Inn at Deerfield" P.O. Box 87, Deerfield, NH 03037. Add your thoughts, prayers or a condolence to Nancy's guestbook.